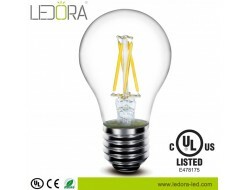 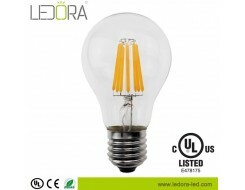 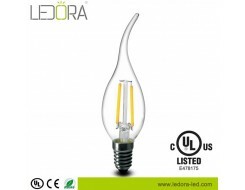 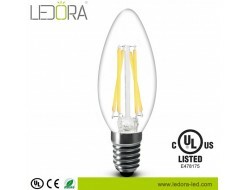 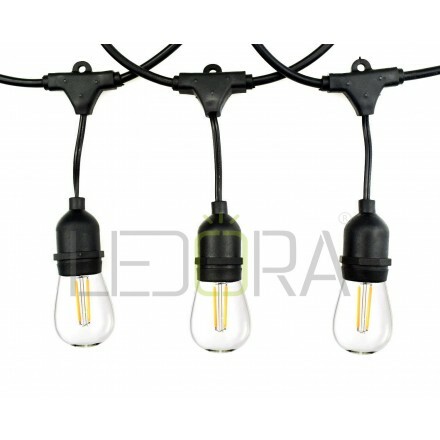 10m black suspended light string strand and 10pcs 2w S14 led filament bulbs included. 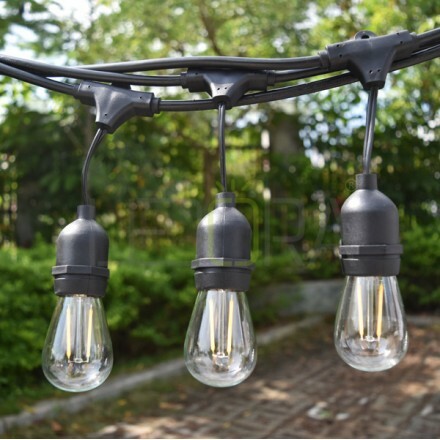 4, Connect Multiple Strings, Use cup hooks, guide wires, or zip ties with the built-in loops to hang perfectly. 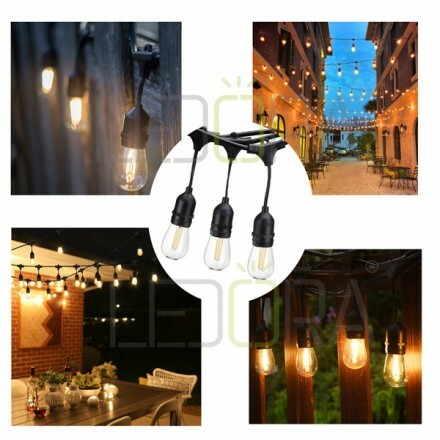 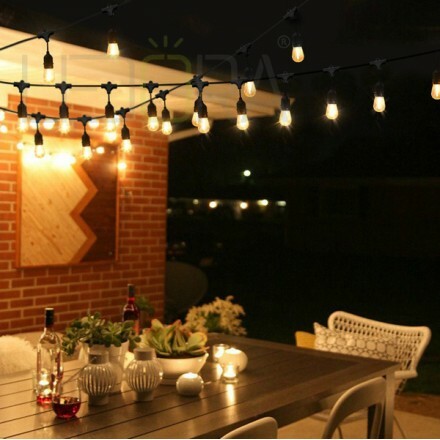 Total string light length is 10m, Female socket on opposite end allows for connection of up to 30 strings of beautiful patio string lights.